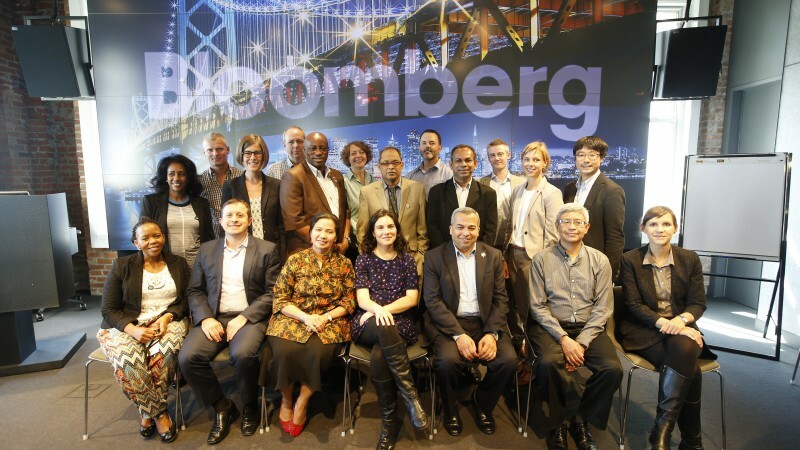 Today in San Francisco, California we welcomed 19 city sustainability directors from around the world to launch the Our Cities, Our Climate international exchange program in partnership with the U.S. Department of State. As part of our Sustainable Cities initiative, we partnered with the U.S. Department of State to accelerate local climate efforts and to recognize the importance of city climate action. As the source of 70 percent of emissions, what cities do individually – and in union – to address climate change can have a global impact. Over the course of the next week, the delegation of international city leaders will visit three U.S. cities – San Francisco, Boston and Washington, DC – to share best practices on urban sustainability. We chose these host cities because of their significant achievements to date in the fight against climate change. All three cities are working to become carbon neutral and have committed to the Compact of Mayors, the world’s largest coalition of city leaders addressing climate change by pledging to reduce their greenhouse gas emissions, tracking their progress and preparing for the impacts of climate change. The 19 delegates come from every region of the world, speak eight different languages, and share the goal of protecting their home cities and reducing greenhouse gas emissions. With projects like large-scale LED replacement programs in Sydney, Australia, to ambitious solid waste management efforts in Amman, Jordan, and new coastal flood risk assessments in Vancouver, Canada, the Our Cities, Our Climate delegates demonstrate cities have the ability, capacity, and will to lead. This city leadership comes at a very critical time, as world leaders will convene in Paris this December to create a new climate agreement at COP21. The Our Cities, Our Climate program will culminate in Washington, DC next week at an event hosted by Mike Bloomberg and U.S. Secretary of State John Kerry. Together, government officials, policy experts, and the mayors of these leading cities will discuss what cities need to do to continue this critical progress. This is the first in a series of blogs we will post on the Our Cities, Our Climate international exchange program. Continue to follow along and share on social media with the hashtag #ClimateCities as we travel with the city leaders from San Francisco to Boston and Washington, DC.